Dr. John McAtee is a pulmonologist from Gulf Shores, Alabama. He has been practicing medicine for more than 30 years. He is specialized in pulmonary disease and internal medicine. Mr. McAtee graduated in 1970 from the University of Alabama School of Medicine. He completed an internship in internal medicine at the University of Texas Southwestern - Parkland Health & Hospital System and a residency in internal medicine at the University of Alabama Medical Center. He is board certified in internal medicine and pulmonary disease. 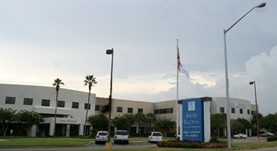 Dr. John McAtee currently practices at the South Baldwin Regional Medical Center.